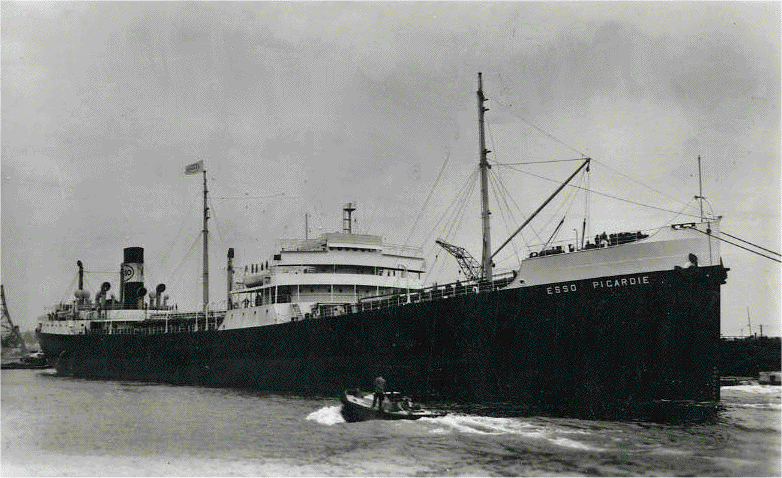 "Esso Picardie", was build as "J. H. Senior" in 1931. 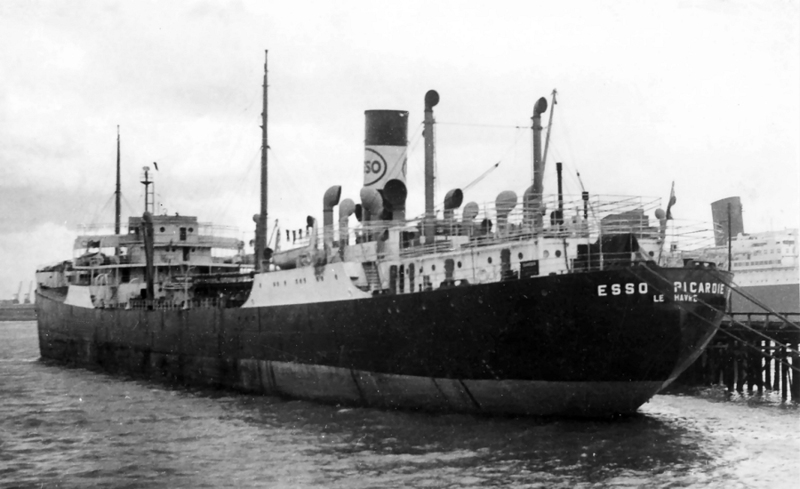 After the second World War she joined Esso France in 1950. Sisterships are Peter Hurll, J. A. Mowinckel, F. H. Bedford Jr. and Heinrich V. Riedemann. "Esso Picardie (1)", ex. 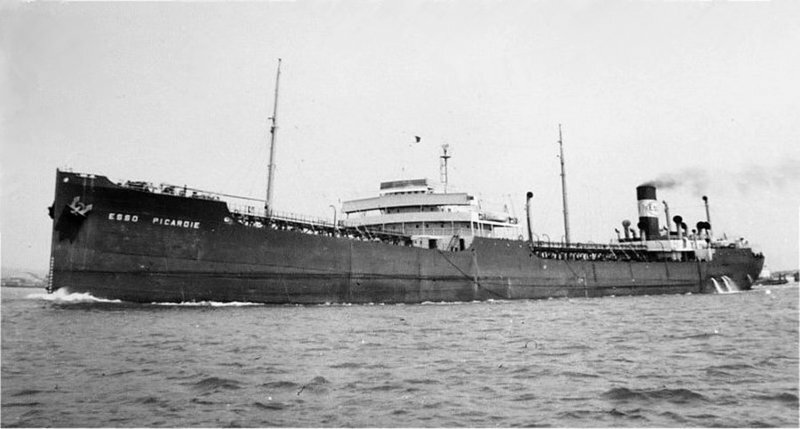 "J. H. Senior". The Miramar Ship Index for "J.H. SENIOR"
Scrapped at Savona ( by Assioni Recuperi Demilizioni Marittima ) 04.02.1955. ESSO PICARDIE (l) 0950 -1955) F.N.S.B. 11065 g. 6769 n. 18250 d. 158.44 x 21.37 x 11.82 meters (9.30 (Iraught). Tvvo 6 Cyl. 2S.C.SA. Krupp oil engines of 4500 RUPdriving twin screwii by Fried Krupp A.G., Kiel. 14 knots. Gmbh (Warried Tankschiff GmbH), Danzig, Germany. 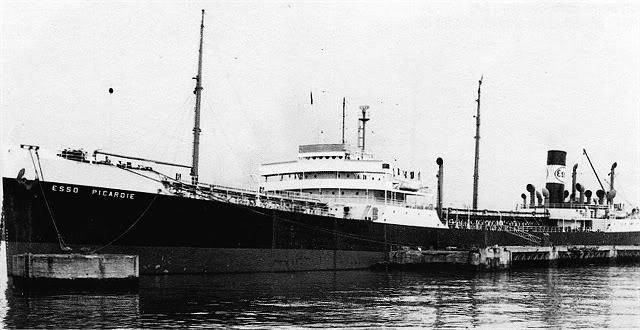 1935 : transferred to Panama Transport Co., Panama. 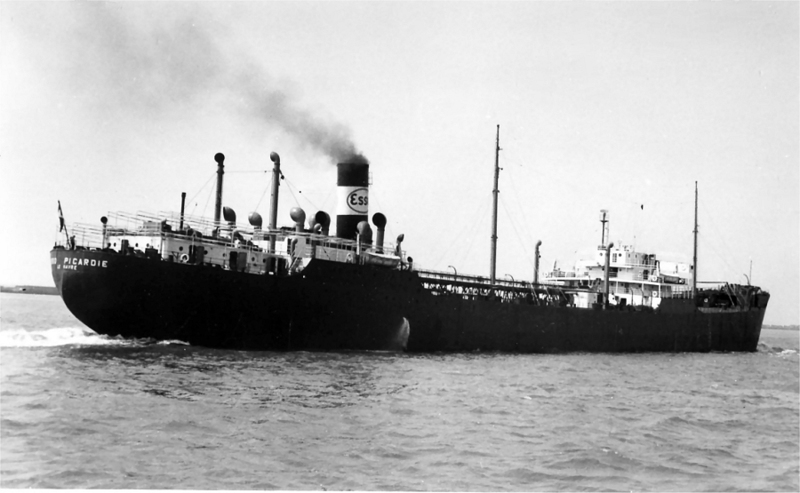 03.1950 : purchased by Standard Française des Pétroles, Le Havre and renamed ESSO PICARDIE. 04.02.1955 : arrived at Savona (Italy) for demolition by Assioni Recuperi Demilizioni Marittima (paid £93,800). Sistership : MARGUERITE FINALY (2) -> ESSO PROVENCE.